Four years ago, the UN warned that some 12 million people around the world do not have citizenship of any country and are being denied basic human rights as a result (BBC). The problem is most widespread in South East Asia, Central Asia, Eastern Europe, the Middle East and Africa. Thailand rounds out the top eight countries with the largest number of stateless people—coming in at number one of the countries where Compassion works. Thailand is a source, transit and destination country for men, women and children trafficked for sexual exploitation and forced labour. Migrants, ethnic minorities often from neighbouring countries, and girls and women from the northern hill tribes are especially vulnerable due to their lack of citizenship—with traffickers often taking advantage of the fact that their lack of documentation makes them hard to trace. 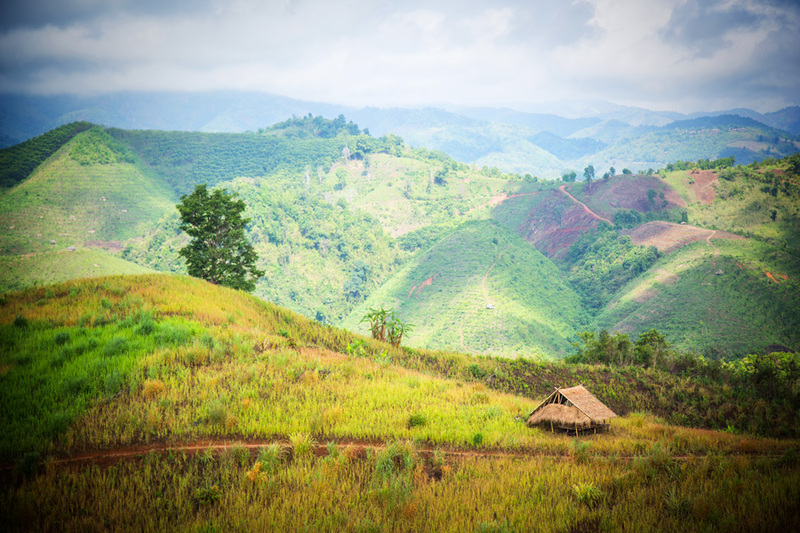 Though eligible, many hill tribe members are unable to attain citizenship due to complex regulations and lack of documentation—how can you prove who you are and where you’re from if you don’t have a birth certificate? Fearing her son may die and knowing she had no other option, Abba took Sombut to the nearest hospital, desperate for him to be treated. The doctors resisted. If he didn’t have an identity card, how could his mother afford to pay for the treatment? Take him home, the doctors said. We are not going to treat him. Abba steeled herself to fight for her son—Sombut needed medical attention and nothing was going to stop him from getting it. Abba didn’t have enough money yet, but she knew she would be able to cover the cost of Sombut’s treatment. As proof, Abba left her identification card at the hospital until she paid the required THB1000 (equivalent to A$38.94) for Sombut to be treated. It took her three months. 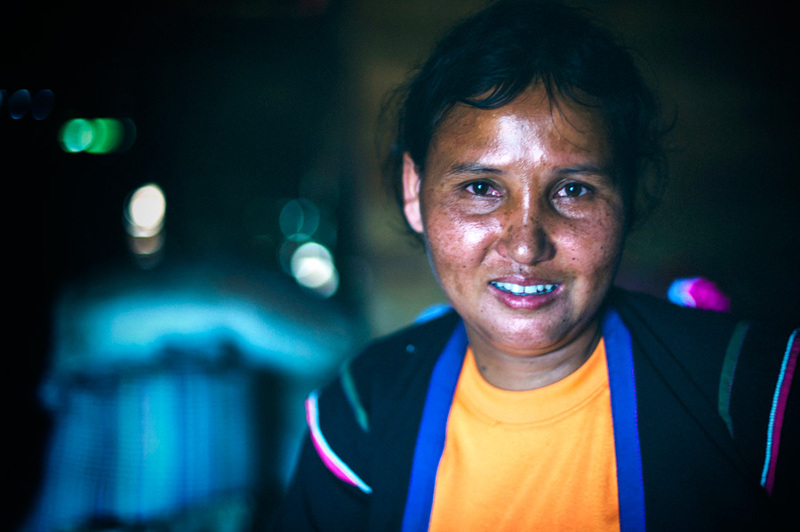 Due to a lack of citizenship and nationality, hill tribe members face a whole range of problems: they cannot own land or travel freely between districts, they have no access to social welfare services, are unable to open a bank account, get married legally, or register the birth of a child. Illiteracy among the hill tribe members is one of the primary reasons for their lack of citizenship. Even though they are often born in Thailand, if their parents don’t know how to file for a birth certificate, it is hard to prove. These limited opportunities leave them vulnerable to exploitation and oppression. Some even face long periods of detention for being unable to prove who they are. A lack of citizenship also negatively impacts the educational opportunities of children. To benefit from government education and enrol in school, they are often required to provide a birth certificate—something they don’t have. For children in the northern region of Thailand, poverty means acquiring even the most basic education is a struggle. The region’s mountainous and challenging topography means school teachers are scarce and often only come to the school two weeks out of the month, if at all. The irregularities in children’s education cause them to lose momentum and interest in learning—many eventually drop out altogether. Future opportunities are limited to either remaining in their isolated villages, or risking sneaking into other parts of Thailand to work illegally. Children of ethnic minority in this region often lack citizenship as well, due to their parent’s illiteracy or legalities beyond their understanding. Unfortunately, children without legal status in Thailand do not receive equal educational opportunities and cannot travel freely through the country. When they grow up, they have great difficulties finding work legally. To combat the lack of legal status, a special team from Compassion Thailand are working vigorously with related government agencies to help eligible children receive their citizenship. To date, almost 100 children have received full citizenship and are protected from traffickers. They are provided an escape from poverty they would not have otherwise had without the support and dedication of Compassion, its sponsors, and its partner churches. 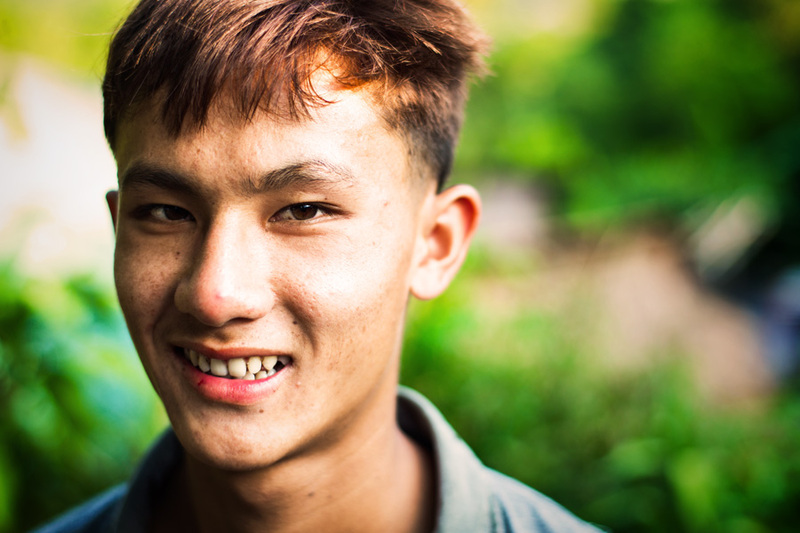 Sombut, 17, is one of the many children in Thailand that don’t have citizenship. He has two older brothers and a younger sister. His father is in jail due to involvement with drugs. Abba’s struggle to get Sombut medical treatment wouldn’t have happened had her son had an identity card. Abba was lucky this time, but every time Sombut became sick, her fear would return. 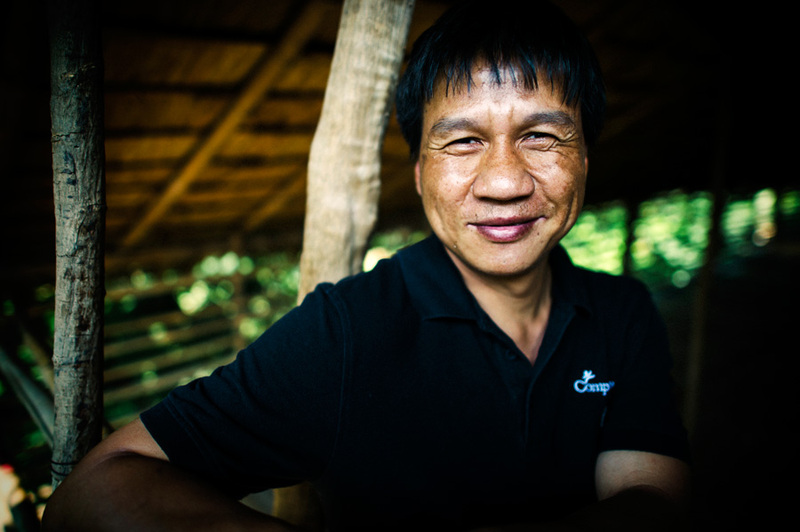 Once a shy child, life changed for Sombut when he began attending the local Compassion child development centre. Through the activities and interaction with the other children, Sombut’s confidence grew, much to the delight of Centre Director Worawut Pronsadee. Despite his personal growth, Sombut’s lack of citizenship caused challenges daily. Worawut knew for Sombut to truly be released from poverty, he needed to be recognised as a Thai citizen. Getting Sombut citizenship became the end goal. Worawut enlisted the help of Panuwut Ittipolmongkhan from Compassion Thailand who became instrumental in helping Sombut. The process of obtaining citizenship in Thailand requires a good understanding of the law, something Abba and Sombut knew little about. The legalities, cost and language barriers—due to different dialects—meant without the help of Compassion, Sombut was unlikely to ever become a citizen. There was a long road ahead, but Sombut was fortunate to have Panuwut as his advocate due to his knowledge of Thai law. Compassion stood alongside Sombut in the many months that followed, helping him with paperwork and organising the appropriate meetings with government agencies. After a long wait, Sombut finally became a Thai citizen in November 2014. Now Sombut has access to government services and public education. He can receive medical treatment, legally travel throughout Thailand and abroad, get married and work—things that would have likely been impossible without citizenship. “I am very happy I am now a Thai person, I am no longer an illegal immigrant,” says Sombut through tears. Abba no longer fears Sombut falling sick—she knows he will now be taken care of. For the first time in Sombut’s life, Abba is able to dream of a bright future for her precious son, one filled with opportunities and possibilities. Sponsor a child in Thailand.